The year is fast coming to an end and perhaps you have waited for someone that will walk into your life and help you plant your garden, decorate your soul and cheer you up. Unfortunately, life is not always fair but it goes on. That’s why some might have showed up and messed it up, others were probably there to destroy what was left and a few came to help you discover the hidden treasures. If your relationship is in a blessed mess and you found yourself saying, “I don’t even think I know you anymore”, the truth is that you don’t. Irrespective of your story or where you are today, don’t get stuck in your emotional garden with weeds that needs to be uprooted. For those that came into your life to love you for who you are, cheer you up in every little way and gave you a shoulder to lean on, please hold them tight because second chances are rare. But stop looking for happiness in people. Stop looking for happiness in the wrong places. Stop looking for love from the wrong person. If your relationship is in a blessed mess and you found yourself saying, “I don’t even think I know you anymore”, the truth is that you don’t. 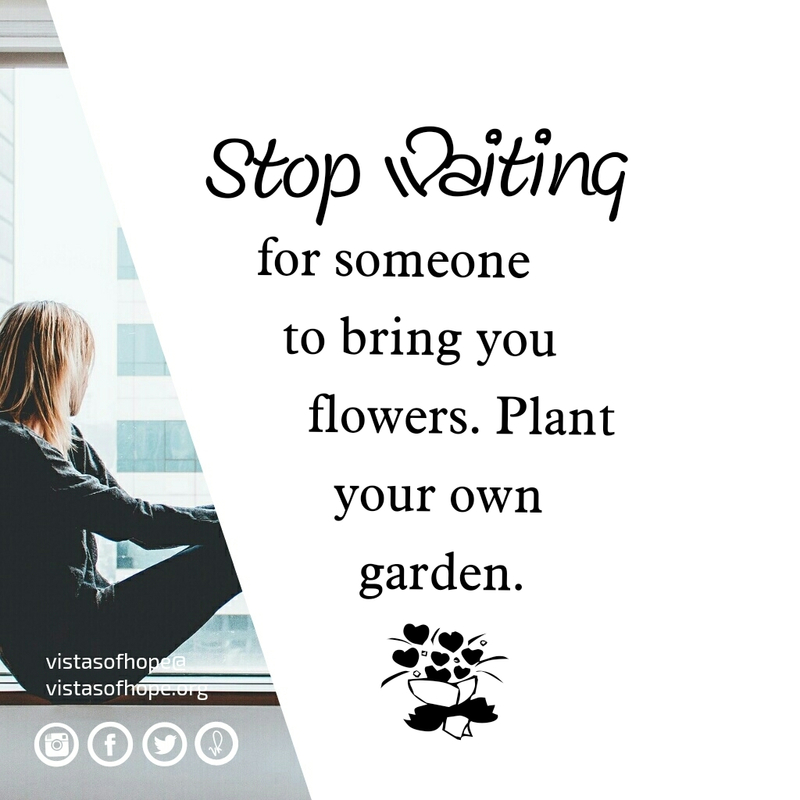 The truth is that you have been waiting for for too long for the one you love to help you cultivate your garden. While there is nothing wrong in having someone do that for you, there is something wrong in waiting in vain for someone to do that for you. If the one you love has handed you the scissors, cut them off and thank God that their purpose in your life has come to an end. Cut them off and be grateful that things didn’t work out the way you once wanted them to. Learn to love yourself and to live your truth. If you think you don’t know him or her anymore, that’s why you need to express your love to those that truly deserve your love; That’s why you need to take action towards your dreams; That’s why you need to walk your talk; That’s why you need to dance and sing to your own music; That’s why you need to embrace your blessings and make today worth remembering. That’s why you need to stop waiting for someone to bring you flowers. Don’t wait for them to take away all that you have left until you have nothing left for them to love you with. Don’t wait until they finish draining your energy. If the one you love has handed you the scissors, cut them off and thank God that their purpose in your life has come to an end. Cut them off and be grateful that things didn’t work out the way you once wanted them to. As you move on to the new year, don’t wait for them to look at you. Look at yourself through your own mirror and the mirror of God – His Word. Before you meet them, meet with God.